The Organisational Group, locally, for the 2019 National Marathon Championships are hoping for a very large turn out of Junior (U14, U16, U18) and sub-Junior (U10 & U12) paddlers at this event. As some of you will be aware in Western Australia we use the Hungarian Mini K1/K2 // South African Guppy K1/K2 for our U10 and U12 paddlers. We are expecting up to 20 or more local paddlers in these 2 age groups. We do have the the occasional U12 year old growing out of Guppies and paddling the 5.2 metre K1 in the U14 class successfully. Guppy Kayaks are paddled at 5 of the WA Canoe clubs and events for them are catered for by both Sprint and Marathon Disciplines. 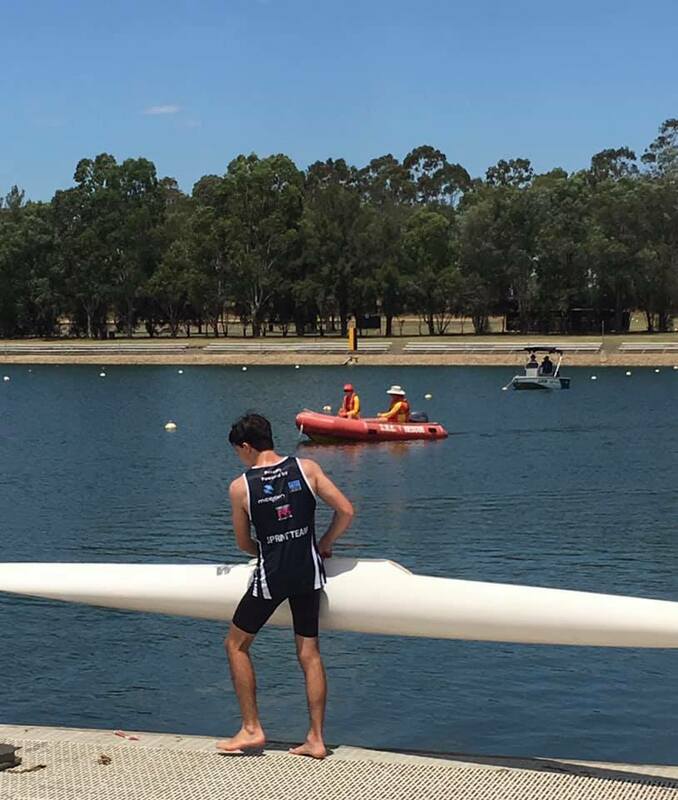 Paddlers tend to be fairly evenly matched and some very tight racing happens as seen at the recent National Sprints at Champion Lakes. To enable as many U10 & U12 Eastern State Paddlers as possible the chance to enjoy competitive racing while at this years National Marathon Championships the local clubs are happy to arrange the loan of a limited number of local boats to our Interstate Visitors for nominal fee to cover maintenance and transport around town. It will be on a first in / first served basis and cover both Guppy K1s and K2s .. If paddlers are still looking for Doubles partners we can help to try and match similar paddlers up. Most boats have stern hung rudders for simplicity but there are some with under-slung rudders. Most have pedal steering but there are some with T-bar steering. All U10 & U12 paddlers are expected to wear a correctly fitted life-jacket at all times when on the water. We always have confident and experienced adult paddlers on the water (generally on skis) escorting these young paddlers ready to encourage them, rescue and get back paddling any that come unstuck. And its a great way to be on the water with your kids, sharing the experience. The Entry Fee Structure has been adjusted to offer an U10/U12 Entry Fee of $50.00 per event. With the Series Discount still effective, this means that an U12 paddler entering two (2) events, will have a total cost of $30.00. Total Entry Fee = $30.00 Guess you have to get in during the Early Bird Entry period. So, they can enter and paddle one event for $50.00, or you can encourage them to paddle on both days and pay only $30.00. Just as an extra, We have a some of U14 paddlers (male and female) looking for partners if you know of any coming over. Looking forward to seeing many interstate visitors joining our sub-Juniors on the water, building friendships that could, in the future, last to the highest levels.